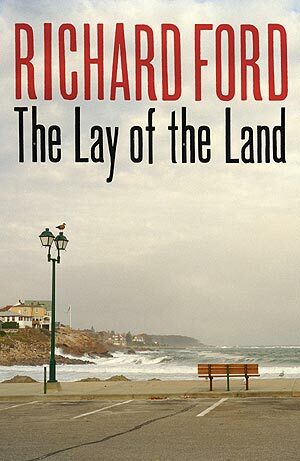 In 2006 Richard Ford gave me a signed copy of The Lay of the Land. Yesterday, I finally got to thank him for his kindness. Who was this literary-minded American? On the table in front of him there sat an imposing WH Auden tome (one that remained unopened for the duration of the journey), and as I began to eavesdrop on his conversation, I thought I heard him mention meeting Martin Amis on the steps of the BBC, and something that sounded like – these fragments of conversation were barely audible above the noise of travel – John Banville’s barbecue party. We were well into the journey when it finally dawned on me with whom I shared a carriage. I’ve long accepted that there’s something wrong with my capacity for facial recognition, and that can be the only explanation for why I did not sooner recognise Mr Ford’s distinctive features (the stern mouth, the high forehead suggestive of intimidating intellect), which should have been familiar to me from dust-jacket author photographs. And of course, once I did recognise him, I was far too shy to say anything; instead, I watched and listened. In front of him, next to the WH Auden book, he had filed-away his used condiments in an empty Styrofoam cup. He wore jeans, greying beat-up trainers, a rough cotton shirt unbuttoned at the neck. It did not seem strange that he was travelling standard class. We were near Stoke-on-Trent when I found the courage to speak. The train had slowed to pass through the wee station in Stone, and Mrs Ford stood to visit the bathroom. ‘Mr Ford,’ I said, as he stepped into the aisle to let his wife pass, ‘I’m a big fan of your work.’ Of course, I was impossibly star struck and unable to form a coherent sentence, which makes Ford’s patience in sitting with me all the more remarkable. When he told me he was touring to launch the third Frank Bascombe novel, I – who knew that the second instalment, Independence Day, had been the first book to ever win the Pulitzer Prize and the PEN/Faulkner Award – stupidly asked ‘is it any good?’ Ford laughed, and then he thought about it, and then he said, ‘I don’t know! I try. You tell me,’ he said. Then he inscribed and gave to me the one copy he had with him, the copy from which he had intended to read in Manchester. I was astounded that Ford, who must encounter thousands of appreciative readers, should remember our meeting on the train. But as I’ve thought more about it, I’ve decided perhaps it’s not so strange. See, when we were on the train, while I was summoning the courage to speak, one thing I noticed was how attentive Ford was to the world around him. I’ve rarely seen an adult so alert to his surroundings. I mean, for instance, that when the litter collector came through the train, while most passengers continued their activities oblivious to her presence, Ford had already seen her, greeted her, and was busy filling her refuse sack with his and other people’s rubbish. 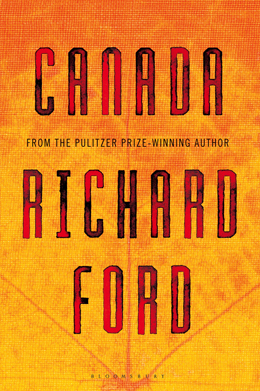 One can learn technique and grammar and knowledge of literature, but maybe if there’s ‘a secret’ to writing, it’s to share Ford’s interest in – his attentiveness to – all that exists beyond oneself.